Our "platform" is our base product and includes the features and functionality shared by all our customers. Changes to our platform affect everyone, regardless of the product lines or modules you subscribe to. List view New icons allow you to toggle your To Do list between the original card view and a new list view that lets you see more items at a glance. You can sort the list view by column header as well as show or hide some of the columns. Just remember that if you show or hide any list view columns in one space, the same changes will apply to all your spaces. Search and filter tools On both the card view and the list view, you can now search your To Do list by typing a search term in the Description field or narrow the list by selecting an item from the Category filter. To ensure you don't miss anything, these fields automatically clear if you go to a different tab. Date columns for jobs For customers who use Helm CONNECT Jobs and/or the Event Logs module, we added a Start Date and an End Date column to the list view to help you track your jobs and activities. We improved the way you track emergency contacts in Helm CONNECT by adding an Emergency Contacts sub tab to the People tab under Management > People. Now you can track several emergency contacts for each person as well as add custom fields to those contacts. You can also decide which roles have permission to edit this information and which ones only read it. As always, you can manage your permissions in Helm CONNECT on the Roles tab in Setup > Users. For subscribers to our People Tracking module only, a read-only version of the Emergency Contacts sub tab is available for the crew on your assets. You'll find it on the Crew tab, in its new home under Onboard > Personnel. Note To view a person's profile, including emergency contacts, from an asset, click the person's card on the Crew tab under Onboard > Personnel. However, starting in Version 1.13, only people who have already been crewed onto an asset will be listed on the Crew tab for that asset. To learn more about crewing people onto an asset, check out this article. In Version 1.11, we added Setup > Field Configurations so you could configure the fields on the Details sub tabs in Management > Assets and Management > People. This feature was available to all our customers at no extra cost, but you had to contact your account manager if you wanted it turned on. In Version 1.13, we have turned Setup > Field Configurations on at the tenant level for all our customers. When you configure an installation of Helm CONNECT from Setup > Fleet > Fleet Installations, you're required to enter a description, such as a nickname, in the Description field. Previously, this description was only visible from Setup > Fleet > Fleet Installations. Now you have the option to display this description on the installation as well. Note The description will look slightly different depending on whether the installation uses multi-user sign on or shared sign on. Installations with shared sign on will see the name of the asset following the description, while installations with multi-user sign on will see the name of the logged in user following the description. Have your passwords expire after a set number of days. Set a minimum number of characters for your passwords. Note Password expiry and minimum length must be configured on your tenant by your account manager. For more information, please contact your account manager. To ensure our customers don't encounter issues while transferring large numbers of attached documents to their local installations, we made some improvements in this release to the way we transfer files. Important Note When you upgrade from Version 1.12 to Version 1.13, your local installations may temporarily enter a state of File Transfer Failure in Setup > Fleet until they complete their upgrade to Version 1.13. While your installations are in this state, data transfer will continue as usual, but attached files will not be sent until the upgrade is finished. Corrupted files will no longer prevent Helm CONNECT from starting on your local installations. We made the following changes to Helm CONNECT Maintenance and Helm CONNECT Compliance in this release. Over the last few releases, we transitioned our Helm CONNECT Maintenance and Helm CONNECT Compliance customers away from the Details tab in Maintenance > Overview and over to the new Advanced Search and Manage Searches tabs in Maintenance > Overview. In this release, we completed the transition by removing the Details tab and any related permissions. Previously, clicking an asset card on the Overview tab took you to the Details tab. Now, clicking an asset card on the Overview tab takes you to the Advanced Search tab. When you arrive on the Advanced Search tab, the asset you clicked on the Overview tab will be pre-selected, but the data won't be loaded yet. Instead, the system will wait for you to apply the filters you want and then click the Search button. For more about this feature, check out this article. Note If you click an asset card on the Overview tab but don't have permission to the Advanced Search tab, you'll see a Page Not Found message. If this happens, please contact your administrator. When you print or export to Excel, the icon columns for status and tags display as text. Also, if you previously reordered or hid any of the columns, when you print or export to Excel, all columns will appear in their original default order and any hidden columns will be displayed. When you export to Excel, custom fields will be included, but they won't be included when you print. New Plan filter: We added a new Plan filter to both the Advanced Search and Manage Searches tabs that allows you to filter tasks or corrective actions according to whether they're planned or unplanned. Status filter change: In the Status filter on the Advanced Search and Manage Searches tabs, we renamed the 'Awaiting Approval' option to 'Awaiting approval/Verification' because it now includes corrective actions awaiting verification. On the Details sub tab under Management > Assets > Assets, you now have the option to add effective dates for your new and existing assets. If an asset has an effective date, the system will compare that date to the effective date of any templates published to that asset. An overdue checklist will appear only if the effective date of the template is on or after the effective date of the asset, and the checklist wasn't completed on time according to its schedule (i.e., daily, monthly, etc.). In Version 1.11, we gave you the ability to complete additional copies of a checklist, but only if you had already completed all the periods for that checklist. Now, in Version 1.13, we added the option to finish a checklist or form whenever you want—with or without a period—and with no requirement to first complete all the periods for that checklist. Previously, the History tabs throughout Helm CONNECT Maintenance and Compliance had basic text search tools that looked for your search term across multiple columns. In this release, we made several changes to improve the layout of these History tabs and introduced two new ways to search for the information you need: broad search and exact search. We created separate search fields for each column where you can use a text search. We made sure ALL the History tabs related to maintenance and compliance had Date Range filters. We added Broad and Exact search buttons. The option to use broad or exact search on your history tabs will give you much great control over your searches and help you find the information you're looking for quickly. For more about this feature, check out this article. You can now view completed forms on the History tab under Maintenance > Overview. To do so, select Form from the Type filter list. On the Forms tab under Setup > Templates, we added a Shore Only check box so you can quickly narrow down your list of form templates to display only the ones you use on shore. In any of the list views, hover over the red thumb icon to display a tooltip indicating when the form was most recently declined. Note On the History tabs, the detail views for any forms completed prior to Version 1.13 won't display the new date and time information. Only forms completed in Version 1.13 or later will display the new information. Previously, when you created a requisition, you first had to select a part and then could only select a vendor who had a price contract in place for that part. Now, you don't have to select a part first, or at all, and all active vendors appear in the Vendor list, whether they have a price contract in place or not. These changes give you more flexibility when requisitioning parts, especially if the part you need hasn't been added to Helm CONNECT yet or if you want to order it from a specific vendor. Inspection or maintenance checklists from templates based on last completed date will now be included or excluded, as appropriate, from both Onboard > Logs, Onboard > Overview and Maintenance > Advanced Search during any linked activities. On the Parts tab under Setup > Parts, the Save and create another check box now stays selected until you're finished adding parts. It's a small change, but it makes the part creation process just that much easier. Previously, if you had permission for the Document Control tab under Compliance > Documents, you couldn't see if a previous version of a document had been received and acknowledged from a local installation on an asset; you could only see the status for the most recently published document version. In Version 1.13, you can now see the document acknowledgment status for each version of a document published to a local installation. Previously, when you used some of the filters on the History tabs in Helm CONNECT Maintenance and Helm CONNECT Compliance, you sometimes saw a blank document when you tried to print the view or export it to an Excel document. We fixed that. In the list view on the Corrective Actions tab under Compliance > Corrective Actions, we now display each item's External Number in a separate column instead of in the Name column. To help you see which fields are required, we added a red asterisk (*) beside the field name. This way, it's less likely you'll miss a required field and then have to backtrack to complete it. Note For now, this handy little visual cue is available throughout Helm CONNECT Maintenance and Compliance, but we haven't yet finished rolling it out to the rest of Helm CONNECT. If you define a lot of user roles on the Roles tab under Setup > Users, you may notice we changed 'Planned Maintenance' to 'Maintenance' in the permission tree to match the name of the Maintenance tab in Setup > Templates. We made the following changes to Helm CONNECT Jobs in this release. When your crews log events and activities on your assets as part of a job or trip, Helm CONNECT now captures the name of the logged in user automatically. You can now manage exchange rates for other currencies and have those automatically flow through to your invoices. If you invoice in multiple currencies, you can also report on your revenue by running a report for each type of currency you invoice with, or by running a single report and converting all your revenue to one currency. As part of this new feature, we made changes to the Currency Types and Billing Settings tabs in Setup > Invoicing, as well as to invoices and some of the reports data sources. As part of this new feature, we made several changes to the Currency Types and Billing Settings tabs in Setup > Invoicing. In the list view, we added four new columns: Symbol, External System Code, Default Currency, and Current Exchange rate. In the detail view for each currency type, we added a Symbol and External System Code field, as well as a System Default Currency check box. We also added a new Exchange Rate table below the header to allow you to track dates and exchange rates. Billing Settings tab: In the header, we added an Invert Exchange Rates check box that allows you to reverse how currency is displayed—relative to your default currency—when you're editing transactions or running reports. For example, let's say US dollars (USD) are your default currency and you're looking at revenue in Euros (EUR). If the current exchange rate is 0.88 EUR to the USD, the system will display 1 USD = 0.88 EUR. However, if you invert your exchange rates, the system will display 1 EURO = 1.14 USD instead. We added a new Exchange Rate field to your invoices that displays the current exchange rate, when applicable. If necessary, you can manually override this exchange rate on the invoice draft. Note When you update to Version 1.13, even if you configure a default currency and start adding exchange rates, those rates won't be associated with any existing invoices. They will, however, be associated with any new invoices created after you update to Version 1.13. For a list of the changes we made to the report data sources for this feature, please see "Reports and custom fields." We fixed the auto-complete feature on the Requested Date, Start Date, and End Date fields on trips. Now when you enter a single digit into any of these fields, then press the Tab key on your keyboard, the system will automatically enter the full date. Per line item billing rules with a date field condition now generate billing correctly. Contracts that use a combination of tariff and contract conditions no longer ignore the contract conditions and now generate billing correctly. 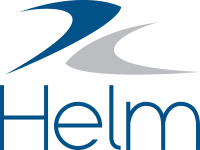 We made the following changes to Helm CONNECT Personnel in this release. When you publish or update a crew change, Helm CONNECT sends email notifications to the individuals who are part of that crew change. In this release, we added two new buttons so your crew can reply and confirm their schedules with one click: Acknowledge and Decline. Crew don't need to log in to or have any access to Helm CONNECT to receive or reply to a notification. In this release, we also added the option to send crew change notifications by text (SMS) message through Twilio, a leading SMS provider. Crew can reply by selecting the Acknowledge or Decline links on a web-enabled cell phone. On the Crew Changes tab under Personnel > Schedule, you'll see the incoming replies as thumbs up/down icons: green for acknowledge, red for decline, and gray for no response. By clicking on these icons, you can also update an individual's schedule status. For more about this feature, check out this article. We removed the crewing box on the left side of the Crew tab. There is now a new way of crewing people on and off the asset through the Timesheets tab. For more about this feature, check out this article. We updated the History tab so it now includes all past crew on/off events. By default, the list is grouped by crew change. To see the names of each person who was crewed on or off, clear the Group By Crew Change check box. Helm CONNECT will remember your selection the next time you return to the History tab. Important Note When you update to Version 1.13, any crew members you had already crewed on in Version 1.12 must be crewed on again in Version 1.13 on the Timesheets tab. In our People Tracking module, a person's certifications are linked to their position. However, in previous versions of Helm CONNECT, you could only see certifications for active positions because certifications didn't display until a position reached its start date. In this release, we added a check box to each of the Tracking tabs that allows you to see certifications for any future positions, whether you're on shore or on one of your assets. On the Tracking sub tabs in Management > People > People and Onboard > Personnel > Crew, the check box is labeled 'Include Future Positions' and is cleared by default. Select this check box to see certification items for future positions. Keep in mind that this check box only appears when a person has a future position. On the Tracking tab in Management > People, the check box is labeled 'Hide Future Positions' and is selected by default. Clear this check box to see certification items for future positions. Note When you are onboard an asset, you still view certifications on the Crew tab, in its new home under Onboard > Personnel. You now have the option to view your crew schedules in hours instead of only in amount of work. On the Schedule tab under Personnel > Schedule, we added two buttons at the top of the tab so you can now change the display between amount of work and hours: Show Amount and Show Hours. Also, in on the Schedule sub tab under Management > People > People, we added a new Hours column to the table. Note Amount of work is based on work periods. On the Schedule Types tab under Setup > Personnel, you can create rules for work periods based on crew on, crew off, and hours worked. Helm CONNECT uses these rules to calculate the amount based on the hours of work. Previously, when you crewed people off an asset in Onboard > Personnel > Timesheets, you could only crew them off one at a time. Now, you can crew multiple people off an asset at once by using the new Fill Remaining Rows icon to quickly copy the End Time fields (date and time) from one crew member to any crew members who don't yet have any data in their End Time fields. When you enter the End Time fields for one crew member, hover your mouse to the right of the time field to display the Fill Remaining Rows icon, then click this icon to copy the End Time fields to any crew members who don't yet have an end date and time. Note The Fill Remaining Rows icon will not overwrite any existing dates and times in End Time fields, regardless of whether you entered information for crew members by hand or used the Fill Remaining Rows icon. Under Management > People > People, we added a new Past Days Booked Off card to the Schedule sub tab so you can see days booked off that are in the past. In the Enter Days Off Request and Future Days Booked Off cards, we also renamed the Unpaid check box and column to Paid, we now display dates in standard localized format, and we added scroll bars. Note If you have time off that includes both past and future dates, the entire block of days will display on the Future Days Booked Off card. Once the end date of the block has passed, the whole thing will move to the Past Days Booked Off card. Although you can edit dates on the Future Days Booked Off card, you can't edit them on the Past Days Booked Off card. When you plan a crew change, Helm CONNECT calculates the work periods based on people's rotation types and/or the asset's rotation type. For payroll purposes, if you need to adjust the calculated work periods for a crew change, you can now enter a date in the new Override Crew Off Date field on the Crew Changes tab under Personnel > Schedule. This override crew off date applies to everyone in the crew change once the crew change is completed on board. You'll see the override crew off date displayed on the Crew Changes tab under Personnel > Schedule, as well as on the crew schedule on the Schedule tab. For more information about this feature, please contact your account manager. For consistency with other filters in Helm CONNECT, all the filters in Helm CONNECT Personnel now have icons beside their labels. We made the following changes that affect our reports and custom fields in this release. When you reset a user password, the system no longer clears out the existing API keys for that person in Setup > Users. Previously, you could create and save an empty report. This generated errors because there was no data to display, print, or export. Now you're required to add at least one field to a report before Helm CONNECT will let you save it. Also, if you open an empty report that was created in a previous version, you won't be able to save any changes until you add at least one field to the report. Approved Date displays the date a category was approved. In a report, this field will be displayed as Form Category Approved Date. Declined Date displays the date the a category was declined. In a report, this field will be displayed as Form Category Declined Date. In your reports, this is different from the Declined Date which displays the date the whole form was declined. All Approved Date or Declined Date fields show only the last or most recent activity that occurred for the form. In other words, if a form was submitted, declined, resubmitted, and then approved, only the last activity (the approval) would appear in the report. Only Forms reports generated in Version 1.13 will show this new information; existing reports that were generated in previous versions will not. For subscribers to Helm CONNECT Compliance, we introduced a new version of the Corrective Actions data source in this release, and for subscribers to Helm CONNECT Maintenance, we introduced a new version of the Tasks data source. The new versions have (Beta) following the name and appear next to the original data source in the list. They generate reports more quickly. They contain a new Component Type field. They are filtered by user division so you see only data for the assets in the divisions that you have permission to access when you use this data source. This division filtering is up/down, which means you can see data in your division and below, plus data available at the parent division, but not data in other branches off the parent division. In Version 1.14, we're removing the original versions of the Corrective Actions and Tasks data sources and fully replacing them with these new versions. Note Don't worry, when we remove the original versions of the Corrective Actions and Tasks data sources in Version 1.14, you won't lose the data from any existing reports you created in those data sources. To complement the new Effective Date for assets we added in Management > Assets, we also added a new Effective Date field to the Assets data source. Added a new Convert to Currency Type filter to allow you to report on revenue, either in the original order currency or in a selected currency. Added a new Exchange Rate field to the main list of available fields. Added two new fields under the Currency group: Symbol and External System Code. We added these new fields: Order Division, Resource Division, Resource, Asset Type, Resource Type. We added these new filters: Division, Resources, Resource/Asset Type. For subscribers to Helm CONNECT Jobs, based on user feedback, we removed the Effective Date and Expiry Date filters from the Contracts data source. We added these new fields: Resources, Asset Type, Resource Type. When we removed the 'All' option from the Date Range filter from our reports data sources in Version 1.12, there was a side effect; the Asset Certifications and Crew Certifications data sources no longer showed certifications that hadn't been submitted yet, and there was no way to filter for items that hadn't been submitted yet. This was a problem for subscribers to the Asset Tracking and People Tracking modules who must track which certifications are missing and need to be submitted. In Version 1.13, we added a new 'Not Submitted Yet' option to the Filter On list for the Asset Certifications and Crew Certifications data sources so you can see all certifications that have not yet been submitted. We added a new Hours field which displays the same information as the Show Hours toggle on the Schedule tab in Personnel > Schedule. We added a new Override Crew Off Date field under Crew Change On > Crew Change. For subscribers to Helm CONNECT Personnel, we added a new Override Crew Off Date field to the Crew Changes data sources, in the Crew Change group.